Have you noticed your senior loved one has developed more bruises than usual lately? Seeing more black and blue as we age isn't uncommon. Bruises, otherwise known as contusions, occur when small blood vessels, called capillaries, near the skin's surface break. The blood leaks out of the vessels, creating that familiar black-and​-blue mark of a bruise. Then, the body reabsorbs the blood, clearing the bruise away. Do medications contribute to bruising? Certain medications that reduce your risk for blood clots may contribute to easier bruising. For example, common over-the-counter medications such as ibuprofen and aspirin may cause easier bruising because they thin the blood. 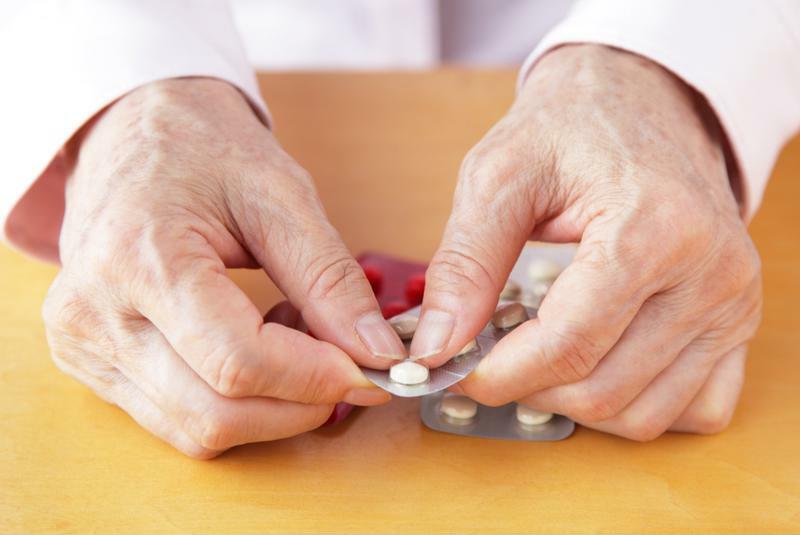 The thinner blood takes longer to absorb back into the body, so bruises can appear larger and remain for longer periods of time if your senior loved one is taking these medications. Ask your senior loved one what medications he or she is taking. Why does my senior parent have so many bruises? Aside from thinning skin, seniors may be more prone to falls due to decreased ability to balance. According to a study in the Journal of Clinical Epidemiology, 1 in 3 adults over the age of 65 will experience a fall each year. Unfortunately, fewer than half will report the fall to their assisted living healthcare providers, and they may leave you out of the loop, too, according to a study published in the American Journal of Preventative Medicine. If you notice bruises on your senior parent, ask him or her how they occurred. If your loved one can't offer an explanation, it may be from a fall. However, since seniors bruise so easily, they really may not know how it happened. Either way, make sure your parent has the necessary stability tools like a cane or walker. Additionally, you can reduce the chances of tripping by keeping walkways clear and making sure rugs lie flat on the ground. Is there a more serious problem? While bruising itself will go away in two to three weeks, there could be an underlying cause that poses a more serious threat. According to Healthgrades, easy and frequent bruising may be caused by autoimmune disorders, vitamin deficiencies, blood clotting disorders, leukemia and other cancers. If you're concerned about the bruises on your senior loved one or he or she is exhibiting other signs of these health issues, speak with his or her healthcare provider. "At-home remedies can alleviate the pain and swelling." For more serious health conditions, it's important that you encourage your senior loved one to speak to his or her doctor. However, for a standard bruise, there are several at-home remedies you can use to alleviate the pain and swelling. According to AgingCare.com, caregivers can apply a cold compress to the bruise. Holding an ice pack there will reduce the blood flow to the area, decreasing the inflammation and taking down the swelling. You may want to wrap a thin towel around the ice pack so it's not so cold on your loved one's skin. If the bruise is on the ankle or leg, try to keep the limb elevated. Also, if you notice bruises, let the staff at your loved one's assisted living community know so they can take over icing responsibilities when you're not there. Use these tips to keep your senior loved ones comfortable. Bruising can be painful, so make sure you reduce their risk for it and provide care as soon as possible.